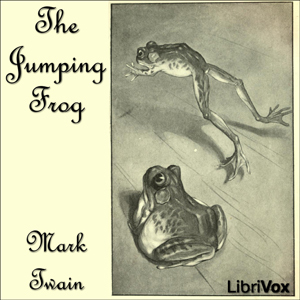 The Celebrated Jumping Frog of Calaveras County" is an 1865 short story by Mark Twain. It was also published as "The Notorious Jumping Frog of Calaveras County" and "Jim Smiley and His Jumping Frog." In it, the narrator retells a story he heard from a bartender, Simon Wheeler, at the Angels Hotel in Angels Camp, California, about the gambler Jim Smiley. Upon discovering a French translation of this story, Twain re-translated the story, word for word and keeping the French grammar structure, back into English. He then published all three versions under the title "The Jumping Frog: In English, Then in French, and Then Clawed Back Into A Civilized Language Once More by Patient, Unremunerated Toil.